My travel diaries: Everything on my travel here so I can relive it. That’s the plan! We stayed at this really cool Airbnb in the center of the town. Dixos was just right for a family of three – it was cozy, it was closer to the main center. 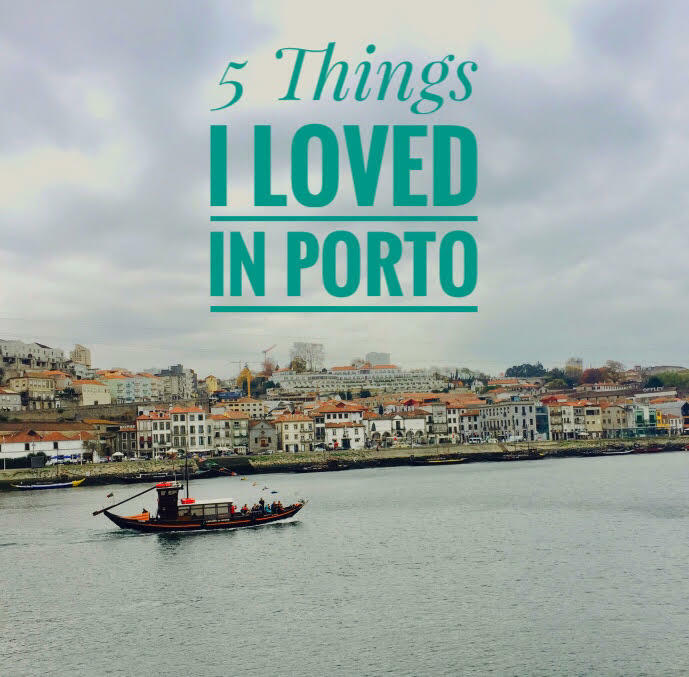 Plus, it was in the neighborhood that made sense to tourists – 50 mts from the main square of Porto (Avenida dos Aliados), bang near Clerigos Tower. Take a look at the space, so comfy! With a 4-year-old kid, we make sure we always choose places that are walking distance and super cozy and this one met us on all counts – it was straight on the place I wanted, on Rue Bonjardim. We hate traveling far, so the neighborhoods we chose are pretty much close. Pedro, the guy who owns the place was super nice – he marked everywhere we need to go on a map and even gave us some handy travel tips. So far so nice! Other neighborhoods we heard are good: Ribeira; Baixa/Sé and Cedofeita. We reached very late in the evening and since it was winter, everything was either too far away or shut so we decided to chill at home. So off we went to a supermarket and got some food supplies and made a simple meal. I love exploring local supermarkets, they really rock – we saw amazing sauces and it took all of my willpower not to cart it home. I even saw Biryani, yes Biryani in boxes ready to be reheated. Now that’s an idea! These two were figuring out life – inside a map. We had some pizza, random bread, chips, eggs, Ramen, a bottle of cheap wine and some jelly. We love cooking – minimal cooking really, in places where we stay. But it’s the cleaning up that gets our goat. Ramen with eggs with crunchy chips was a delightful meal and brekkie was eggs, cheese, juice, jelly, coffee and a couple of raspberries! There was something so old school-ish about Porto. Houses in symmetry, blue tiles everywhere, old cocktail gowns in shopping windows. So much drama! Tinned sardines were big. Such retro packaging. All stores had them lined up at the windows. And they weren’t that expensive either – they start at 1 euro and go upwards. Sardines in tomato sauce is supposed to be great. Porthos was the popular choice to buy if you’re looking to take some back home. First impressions: The houses were super pretty and colourful. Even the ones that look like they have no one living in them. This house was on the other side of the road and we told our kid that it looks dilapidated and a witch lives there who can fly on a broomstick. It sure looks magical – in a good kiddy way, not in a Stephen King way y’all. The streets were just like a postcard and so dreamy. The view was to die for – it’s pretty much the entire city. There’s a church inside and we attended a small mass where there was a neat choir. The steps then ( super steep and you really bump into people!) take you to the top. After a lot of cribbing we reached there but the view more than made up for it. It’s a small bistro-style cafe at the start of the tower filled with yummy pastries and the best coffee ever. We ordered some rice dishes, a jug of Sangria, crab and some chicken with less spices. We just got back from Spain where no one really understood English so when I walked in here and the waitress spoke impeccable English, I was so happy to explain to her exactly what I needed. And in turn, she was surprised I spoke good english, so yeah. Note: Portugese people love Indian food – everywhere we go they recco it and ask us if we’d like to try it. There are certainly some, if not all, Indian-ish dishes on the menu. It was my very first wine tour and Port wine is actually my favourite, so this one was much-needed. There are lots of wineries in Porto but Taylor is supposed to be the best – ask anyone on the street, on blogs and on forums and they say Taylor #forthewin. So off we went to find it but damn, the roads were steep, misdirections led us to lonely places and oh, it was sooo far away. We almost gave up when we found it. I won’t say skip it but all that history was a tad boring. That said, my daughter loved the videos and pictures of grape-crushing. I’d say it was more technical but it’s still history, that part was cool. It costs 12 Euros per person and you get to drink your favorite wine at the end of the tour. The garden was my most favourite there – as you sip wine, you see flower trees and peacocks running around. Pretty, pretty! Porto Calem was another popular wine tour most people headed for – we saw these little trucks carting them back and forth. Random Citroen 2CV near the Ribeira is one hella pretty photo op. The backdrop is spectacular and the bridge has the metro running on it. Quite a beauty – you can stand there, take pictures and just enjoy the sunny weather and the nice breeze. You can see the whole of Porto from there. It was a nice walk there – and you could see the wineries all tucked into one another and the Ribiera, the riverfront restaurants on one side along with the graffiti and the spectacular Duoro river. Like seriously, prettiest store in the city. It had multiple locks and handles – it’s a hardware store that sells pretty things – lets put it that way. It had a quaint cafe and the sweetest couple who run the store. We bought some knick-knacks and loved the retro-ness. OMG, this is the best bit of Porto really. The spectacular Duoro river really makes it work – with multiple colourful houses and amazing restaurants. There are boat rides and nice cafes, pretty shops – ah, bliss! You can spend the whole day there. It was here that I had the popular Francesinha – a traditional meal of Portugal that came with meat, fries and soup altogether in one bowl. The meat was a lot so I couldn’t finish it but it was a nice dish to warm upto in November eh? Also had copious amounts of cream coffee – that is now my fav!!! Miss Opo: Hole in the wall place to eat, yummy food apparently. Palacio De Cristal: Supposed to be dramatic! Casa Da Musica: We really wanted to go, it’s for every music freak, but had no time. Cafe Majestic: One of the oldest cafes, very instagram-able. Drink: Porto Tonic, Ruby Port, Tawny Port and Ginja. This is my favourite picture of Porto – from the plane, look at the beauty! I am not a big traveller, I do my own thing and I like to do the more offbeat things when I travel. Upcoming: Lisbon, Srilanka and Madrid. I love remembering the little things and getting all nostalgic so this is more of an exercise for my memory than anything and if it helps you plan a trip there – am happy! All pictures by Bobin James unless stated otherwise. Next 20 Realistic Goals To Have In 2018!